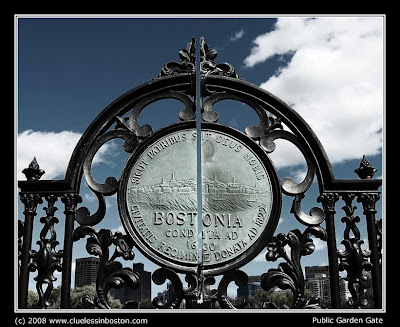 City seal on the gate at the Arlington Street entrance of the Boston Public Garden. Here is a view of the Charles Street Gates. We were in Boston last week and enjoyed spending time in the Public Garden. I love the garden and I missed this gate, but it looks so nice. I like it.